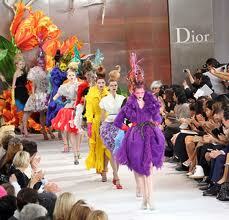 Dior online magazine gave us new information about label founder Christian Dior. Apparently Christian Dior loved flowers and knew a lot about growing florals. He had extensive knowledge of various types of flowers and his favorite one was lily-of-the-valley. This does not come as a surprise since we see flowers in many of his original dress designers. In fact, he was a master of silhouette and often said that woman should look like a flower. Dior was also interested in numerology. His favorite number was 8. He used it in his designs as well, but more importantly incorporated it in his business. His atelier included 8 floor and 8 workshops. Number 8 is the luckiest number in Chinese culture because by the sound it means wealth. It is also a significant number in Japanese numerology and general Astrology. With enough digging one can find a lot of resemblance in number 8. So, we learn that Christian Dior was superstitious. He didn’t have an easy life, especially during the war. During the WW2 Christian Dior was dressing up Nazi’s wives when his own sister was arrested by Gestapo and sent to a labor camp. He tried to help her via his Nazi connections, but in vain. She was released eventually and lived until 2008 outliving him by some 40 years. So, war and tough times certainly impacted Christian’s outlooks and to shield himself from troubles he used to work on his garden and grow flowers. Flowers are very easy to incorporate into women fashion designs. 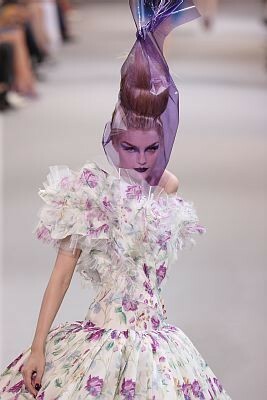 Raf Simons, current Dior designers put a special emphasis on using flowers in almost each and every run way model. The enamel rings with flowers put into production under past designer John Galliano are still extremely popular buy for women. Flowers are used on Dior purses and Dior sunglasses extensively. 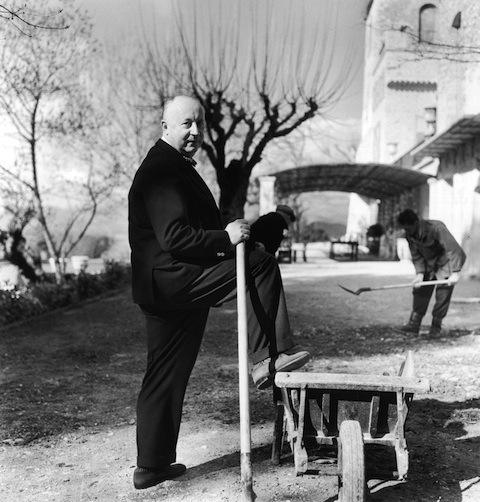 Christian Dior was openly gay, but his romantic connections were kept out of public view. It was not common to talk about private life with public and was not even considered a good tone to ask. Unlike today, famous people had a lot of power to shield their lives from publicity and press was respectful of that. Love of flowers can explain his sexual orientation as he tried to enjoy what women do and flowers at that time were among the greatest objects of admiration. If you look at the list of recently deceased fashion models you will realize that staggering amount died from suicide. Drug overdose is not considered a suicide, by the way, it is considered accident, as most of people overdose in accident without intention to end their life. Model Suicide could be via jumping, shooting, hanging or other self inflicted injuries. According to American Association of Suicidology not all suicide attempts are successful, only 1 in 25 attempts will result in death. There are more models who try then those make it to the press due to actual apparent suicide. With models however, many deaths are very suspicious. Just like death of Russian model Ruslana Korshunova who is believed to have jumped to death from her New York apartment. Her friends and family still sure that there was more to it than depression. Many think she was getting death threats and was “helped” out of the window. Same story with Canadian model Hayley Marie Kohle, who also, was found dead after jumping from a balcony in Milan. Since she was not known for any particular mental issues, her friends and family, also are unsure about the cause of death. If these suspicious suicides are taken out of statistics, model rate of suicide would go down closer to average. All real suicides are preceded by extensive depression. But what causes such a heavy depression that triggers young, successful and beautiful people end their life, often at the peak or the rise of their careers? Among other reasons is violence in the family, financial and legal problems. This is often on the top of the first three reasons. A person might be depressed because she is facing relationship difficulties. Models are vulnerable to depression due to the hyper active lifestyle that often entails working long hours without rest and food, but for a short periods of time. The nature of model profession is that they have to show up for castings without being paid for the time. They often will not get a job as a result of a day spent on casting. Another problem of model lifestyle is that they live from job to job, casting to casting and do have lots of free time in between for drugs and alcohol. They also face extreme pressure to look thin. Wallis Franken, Italian Voque cover model, jumped from the window. Among reasons for suicide was abuse by her husband, Claude Montana. She also lost a child and struggled with endless castings resulting in no job. Colombian supermodel and television presenter Lina Marulanda, also jumped. Shortly before her death she undergone a nasty divorce and faced problems at work. Korean model Daul Kim hanged herself in her apartment. She was also an aspiring artist, but prone to depression and metal illness.